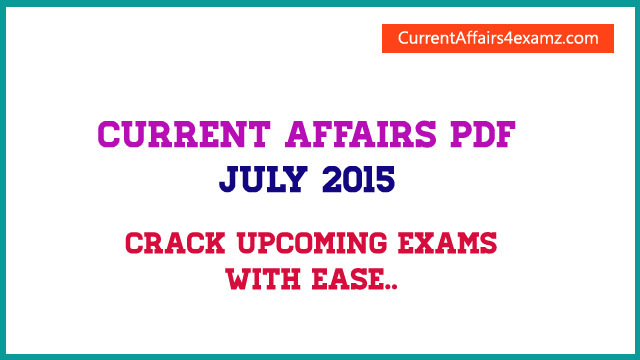 Friends..Here are the Important Current Affairs Questions for the last week of July 2015 (26 July 2015 to 31 July 2015). Our Current Affairs PDF are very useful for all upcoming exams. You can download the free PDF from the link below. Also attempt our Current Affairs Online Quiz to brush up your knowledge. Note: With this, Beijing became the first city to host both the Summer Olympics and Winter Olympics. It hosted Summer Olympics in 2008.